Young children need a constant supply of nutritious food to support growth and health. The children you care for come from diverse backgrounds and will have a wide variety of experiences in getting their nutritional needs met. Understanding the importance of nutrition will give you a clear understanding of how it relates to health and learning. Explain the importance of a nutrient-dense diet. 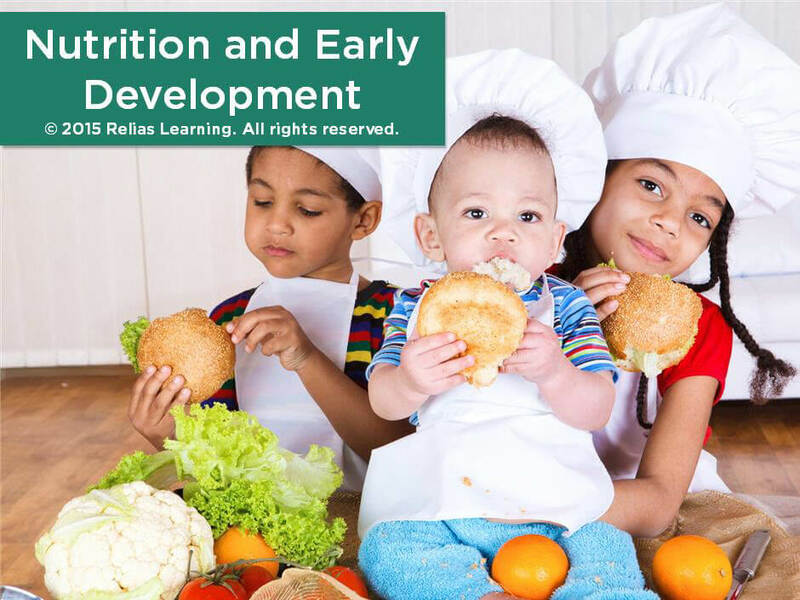 Demonstrate appropriate nutrition practices and physical activities for young children. Describe nutrition practices that can be used to help caregivers as well as parents in the home. Beth Ellen DiLuglio, MS, RDN, LDN, creator of Nutrition Mission®, and Nutrition Is Your Best Health Insurance!® educational programs, received her Master of Science in Human Nutrition from Columbia University's College of Physicians & Surgeons Institute of Human Nutrition. Beth's achievements include being a Registered Dietitian Nutritionist (RDN) since 1987; Certified in Nutrition Support (CNSC) 1990-2010; a Certified Clinical Nutritionist (CCN) (cncb.org) 2002-2017; a Health Fitness Specialist (HFS) through the ACSM 2010-2015; an associate professor of nutrition Palm Beach State College 1995-2008; and provider of professional continuing education through the Commission on Dietetic Registration (CDR) since 2002; and a provider of continuing education through the Florida Board of Nursing. Disclosure: Beth Ellen DiLuglio, MS, RDN, LDN has declared that no conflict of interest, Relevant Financial Relationship or Relevant Non-Financial Relationship exists.